Caris Tiivel (23) was crowned Miss Universe Australia 2016 last night. 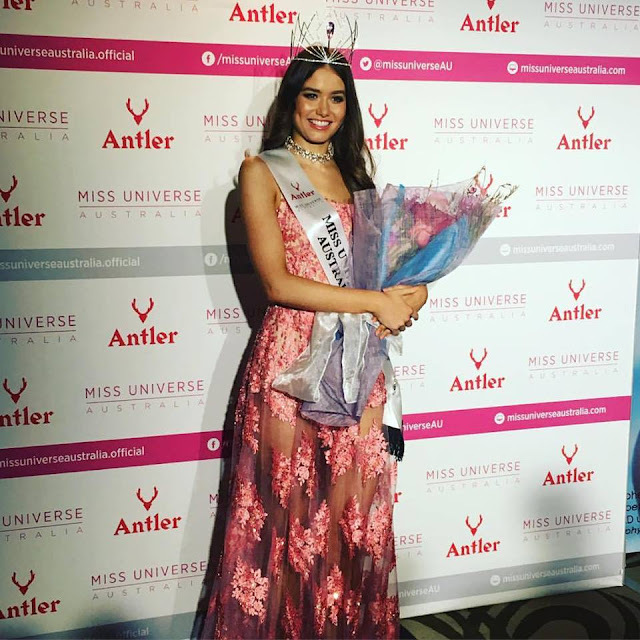 She stands 1.79m tall and will represent Australia at the 65th Miss Universe Pageant in the Philippines. Elise Chambellant was named the first runner-up and Marijana Radmanovic was named the second runner-up. The third runner-up was Rose McEvoy, while Jasmine Stringer finished as the fourth runner-up. She's beautiful... another strong winner for Australia! You nailed it again Andrei... the crowning photos did not do her justice though. But I love her gown... she is stunning!! !